To many people, the term cage means different things. However, most of them think that a cage is a tiny enclosure where tiny animals can live or a wired enclosure with a few levels to provide some space for the animal on the inside. Such a cage would just mean a home for hamsters. Different pets prefer different cages. For gerbils, the type of cags that they prefer are very different from those of hamster. The difference in the types of cages that hamsters and gerbils live is because animals live hamster like living alone and their main activities are sleeping and eating while gerbils do not live alone. They must be 2 or more in a cage. On the other hand gerbils like chewing and digging. 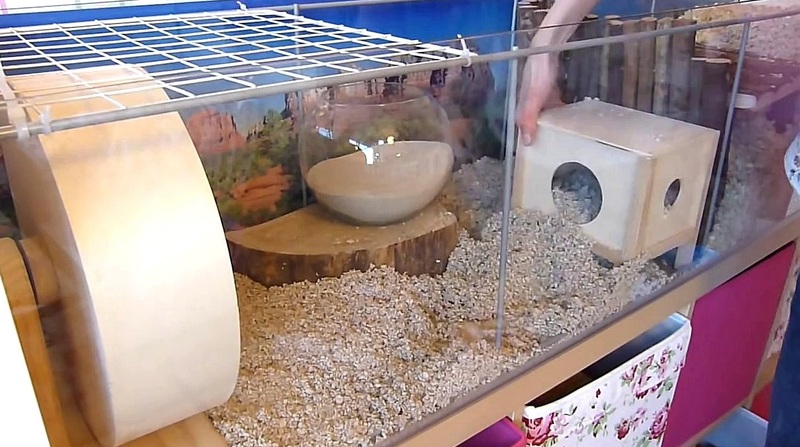 Therefore, the bedding for hamster will only be a thin layer but that of bedding for gerbils will have to be tones of blankets that can allow the animal to dig. This helps to recreate the natural environment that the gerbil lives in hence facilitating their underground lifestyle like that of the natural environment. You will also realize that bedding for hamster might not have been touched since you last cleaned it but that of gerbil will always be a mess. They kick everything in the tank all over and destroy what they can as they wreck the joints within no time. This means that the nature of the cage that a gerbil lives in must be properly designed to give them a life that they can enjoy. To win their heart and mind, you need to provide them with the best gerbil cage that you can get. Keeping your gerbil pet happy will need you to look for something unique. If the word cage has a different meaning to you, then a gerbilarium can make you achieve the meaning that you want. It makes it easy to bond with your pet gerbil and is locally available in many pet stores hence you do not have to worry about where to get it. This kind of cage is at least 6 inches deep. Above the ground level is another layer of wires with slopes and shelves where the wheels and the water bottles will be safe. Putting such things in the wired layer helps prevent them from being burrowed in the mountains of the beddings that the pet keeps on making. Leopard and crested gecko have a lot of similar characteristics. This means that you can design a similar living place for each one of them and none will be affected. Many people prefer keeping these lizards as pets rather than most of the other animals. This is because they are easy to maintain compared to many others. 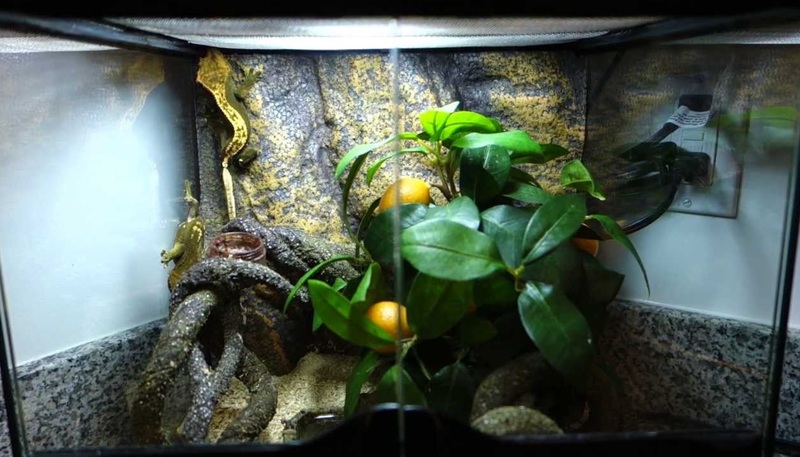 In order to make sure that you take the best care of your leopard and crested gecko to keep them healthy, you need to look for the perfect tank enclosure for them. Both of these species are readily available in the pet store. This also means that the type of enclosure that you require is also readily available. You can also easily get information about them from the pet stores and the many farmers all over the world. You can also learn about them from the many websites that have information about them. In this article, however, we purpose to shed enough light into what you need to know about the tank for leopard gecko and crested gecko. Both of these species hatchlings are 3 to 4 inches long while adults measure 7 to 8 inches in length. However, a few males may even be a foot long which means that they need enough space in the cage. They can also live for up to 20 years which means that you will have almost a lifetime of fun when observing them. Some others can even reach up to 30 years of age. Tribes Don Barone Outdoors by Compete Themes.